The most honored Fraternity song in the Greek-letter world: The Sweetheart of Sigma Chi. 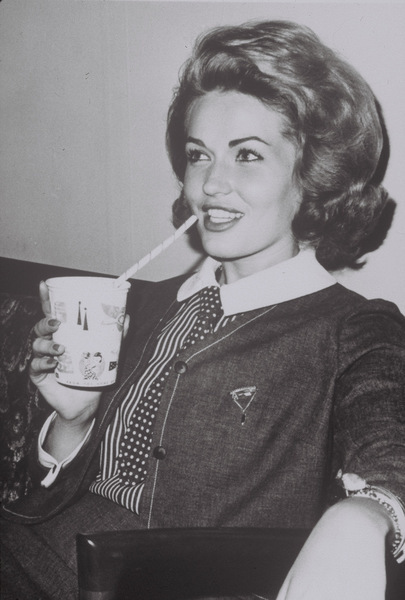 Beta Sigma has selected an annual Sweetheart: in the 1950s, she was announced during Derby Week in the fall. 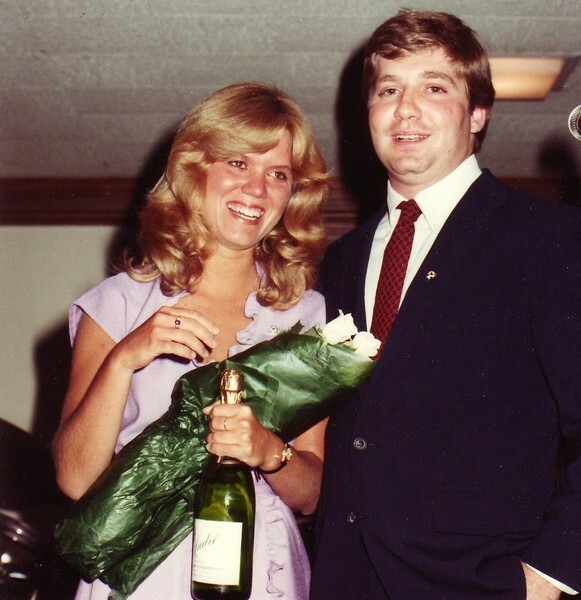 By the 1970s, the Sweetheart was announced at the spring Sweetheart Formal. with LS Chair Dave Hofferberth. in the Fall at Derby Week. 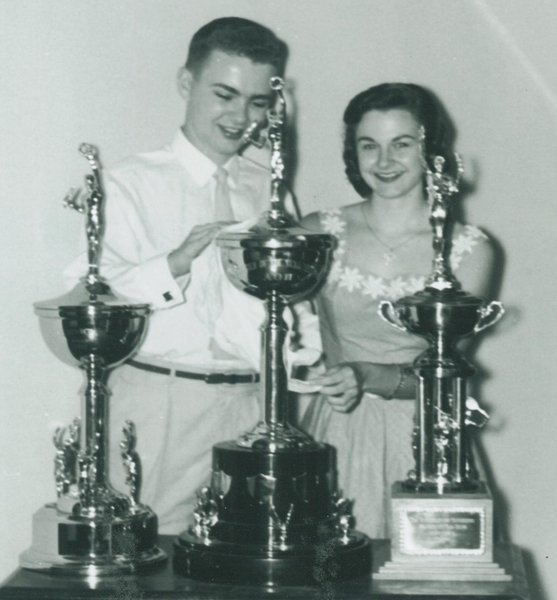 1957 Chapter Sweetheart Dixie Stegall, and Consul Charles Morton, '58, buffing trophies: 1st Place Carnicus, Fraternity of the Year (from AOPi), and Intra-murals.